We all know how expensive everyday life can get. It's becoming increasingly harder to keep up with the day-to-day costs and every single day you end up with those unexpected expenses. It seems like no matter how much we work and how good our income is, savings and vacation are slowly becoming a thing of the past. Then, once you have kids, it's even more expensive with all the schooling costs and the different gadgets they need. With all these living costs adding up, the standard 3% annual increase in salary does not seem to make one bit of difference. Plus, the economic stimulus is not really targeted towards our needs. So wouldn't it be nice if you were to get that additional help from some sort of a service like payday loans? I think this is a much better solution than credit cards which come with high interest rates or having to refinance your mortgage just to get that extra money. First, the amount of time you are required to complete all the paperwork for various loans and refinancing can be quite difficult and time consuming. With payday loans, you spend a lot less time and you are informed of the decision quite fast. Funds can be in your account within a matter of 24 hours. Like every loan, there is a cost involved in this but the cost is minimal and the processing time is fast. For any family living on a fixed income, these loans can be an excellent way to pay for those additional costs or even a much needed short family vacation. I mean honestly after working so hard to make a living, its always good to have an option to take a much needed vacation or even complete a project you have started. Many girls would go loco over pink but I am just not the type of person. I guess you could say that I am not the girly type... I am more of the brusko type. I don't like dressing up in pink because I think it doesn't suit my personality and my skin color. 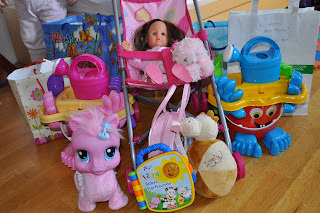 :D But I do like to doll up my little girl with lots of girly stuff, probably because I don't want her to be like me. And while I do have a couple of pink shirts, they are not even the plain ones. I guess pink just doesn't fit my personality. But my little girl has lots of pink stuff: from her back pack to undies to lunchbox to sleepwear to dresses and toys from friends. 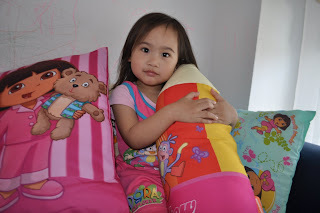 She even has pink pillows. She has a few pair of pink shoes and slippers too, courtesy of her grandparents. 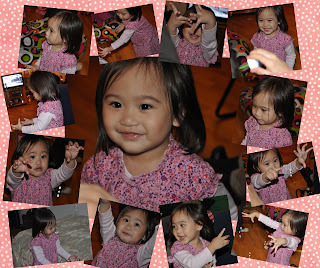 So if my little girl turns out to be kikay, she didn't get it from me. Lol! Love PINK?? Share your story with us here on Girls Talk! If you are looking for new and interesting challenges online, one avenue that you may want to pursue is puzzle-themed online games. The reason why puzzle-themed online games are well worth experimenting with is because there are a wide variety of different games and they are capable of challenging you in new and interesting ways. There are puzzle games in many different challenge levels, meaning that you can find both easy puzzle games and much more difficult ones as well. Not only do puzzle online games come in many different difficulty levels and ratings, but they also come in many different styles or genres as well. For example, many puzzle games involve numbers, letters or words with specific goals in mind. A game like Sudoku challenges you to fill numbers in to a grid so that each set of nine squares contains the numbers 1 through 9 one time only. Many games use letters like Scrabble or BookWorm, challenging you to create words, find words or otherwise use words to score points and advance in levels. There are also Tetris-like games, jigsaw puzzle games, tower games, problem-solving games, mystery-solving games, memory games and a wide variety of other puzzles that you can challenge yourself with online. Puzzle games online can provide you with a real brain workout. They are designed to do more than just keep you entertained, because they also challenge your mind and help you learn at the same time. While some online games do not provide these benefits, puzzle games and strategy games almost always offer some kind of learning or challenge that you can participate in to exercise your brain and increase your intelligence. Do not be afraid to experiment with different online puzzle games until you find the right level of difficulty and the right type or style of game to suit your needs. The Cannstatter Volksfest, known as the world over as the Stuttgart Beer Festival is open once again. It officially opened last September 24 with the traditional tapping of the barrel by the lord mayor of the state capital of Baden-Wuerttemberg in the Schwaben Bräu tent of the festival innkeeper Laub. Colorful groups of people wearing traditional clothing with folkloric displays, proper music and humoristic contributions add to the cheerful fair mood of the guests. The Cannstatter Volksfest is now on its 165th year and offers the best family entertainment until October 10, 2010. 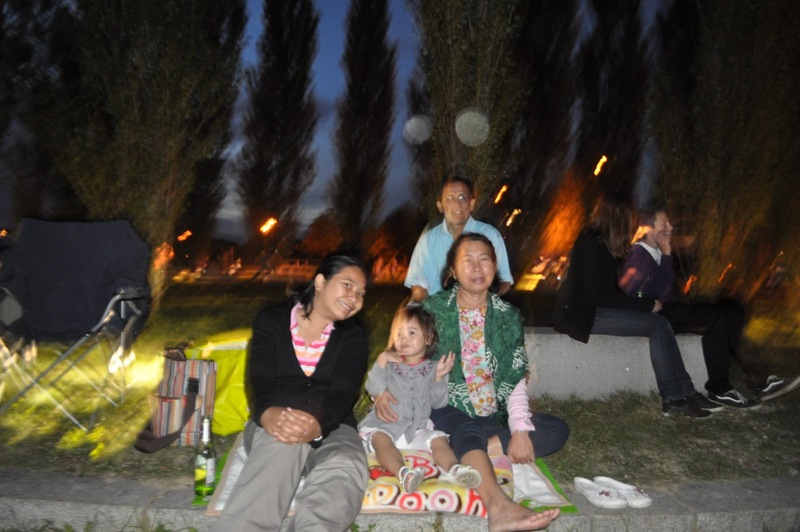 Every Wednesday is a Family Day, which means mean that the fair belongs to families and they get to enjoy special discounts. There are also seven beer tents for the beer lovers and two wine tents for those who like wine better and simply want to join in the fun and festivities. Rides are available too for the young and the young at heart. 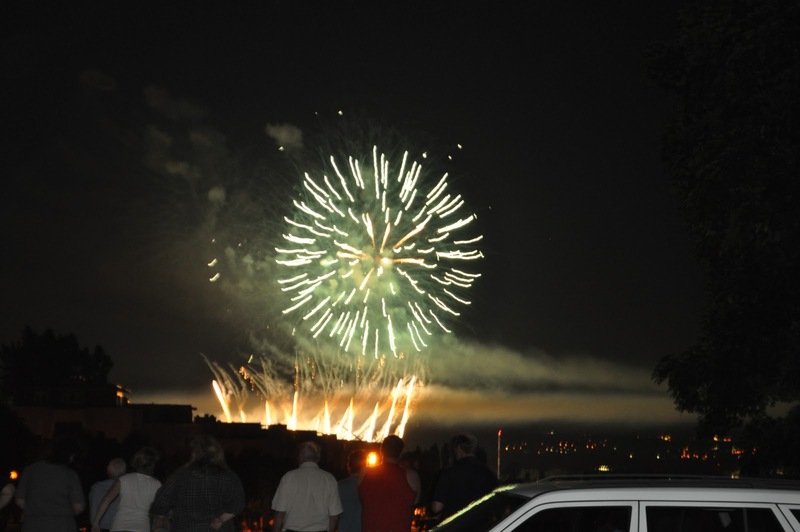 If you are in Stuttgart, be sure to visit the Volksfest at the Cannstatter Wasen. You can get there by car or by public transportation: train and bus. There are special routes and schedules designed specially for this event. We are only given so much time in a day, and when you add a child into the mix that time gets cut a lot shorter. Children are great but they come with a device that makes your watch tick faster, your credit card balance dwindle, and other fun little things. So, in this situation I have found it is very important to be resourceful with both time and money. I found a cool site the other day called offers.com. It allows me to pick a subject like internet security and find good deals on anti-virus software. Some of the deals are unique to this site only so it is worth checking out. I also looked into the Home and Outdoors category and was able to find plenty of discounted items such as vacuums (which I use all too much), blenders, bedding, and art decor. I even found bigger purchases such as cabinets, rugs, and more. It's amazing what you can find on the internet. What would take hours of clipping coupons and visiting various stores now only takes a few minutes to find what our family needs. And then, after saving that money we can go visit new places! Coincidentally, they happen to have a travel category where I can find better deals for our trips. I also saw that they have discounts on flowers and gift items, which is nice for any husband or significant other to know. Moms like me have got to also love the cosmetics, fragrances, and skin care product discounts on there as well. So, even with the time and money restraints associated with families, we will be able to use a powerful bargain shopping I also saw that they have discounts on flowers and gift items, which is nice for any husband or significant other to know. Moms like me have got to also love the cosmetics, fragrances, and skin care product discounts on there as well. So, even with the time and money restraints associated with families, we will be able to use a powerful bargain shopping tool like offers.com to help alleviate that. Quite a long title for a 200 word or so blog post, right? But yes, this is what I think is an appropriate title when our German Language teacher gave us the task of documenting what we did to a previous task that he gave the class. We did have fun! Ain't it obvious? 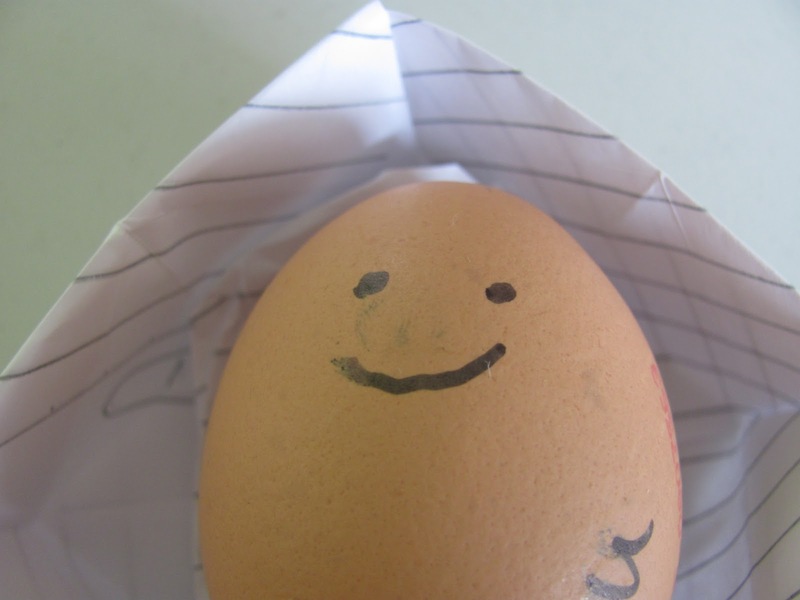 The objective was simple enough: To be able to device a strategy or plan so that the egg won't break when dropped from a height of 10 meters using only ten pieces of paper. The class was divided into five groups. We were given time to device our plan and then we went outside to experiment on what we created. Our group had lots of fun while constructing our "surprise bomb". The result was even more fun because our group was the only one who managed to completely break the egg. The other groups constructed a "parachute" out of a few pieces of paper and then created some sort of compartment where the egg is placed and secured with "paper cushions". We on the other hand, wrapped the egg with crushed paper. Lol! I guess it was really bound to break. Looks so much like an old-fashioned bomb, right? The broken egg after the 10-meter drop. Although we failed in our objective, I guess what matters most is that we enjoyed the experience a lot and we were able to work together as a team. The Stuttgart Christmas Market: No High Tech Cell Phone Plan for Sale Here! Christmas is a magical time no matter where you live, but in Stuttgart it is especially beautiful and the Stuttgart Christmas Market is one of the things that make it so magical. First established in 1692, the Stuttgart Christmas market is one of the largest, most beautiful and oldest of its kind in Europe. Christmas can become quite commercialized, but visiting the Christmas market in Stuttgart is like stepping back in time. Not only are there around 250 stalls with vendors offering everything from tree decorations, toys, carvings, arts, crafts, candles, leather goods and more, there is also a huge variety of culinary treats to indulge in. Hot chestnuts, mulled wine, grilled sausages; so much to choose from! The one thing you won’t find at the Christmas market is annoying hawkers selling the latest cell phone plan! In addition to the usual Christmas gifts and tasty treats being sold, the Christmas Market is a fabulous place to bring the kids. With a giant Ferris wheel, a mini-steam train, fairytale figures and more, the children’s area is built on the Palace Square. Don’t forget the outdoor skating area that is great fun for the whole family. The skating area is also open on New Year’s Eve for a different but memorable way to bring in the New Year. Each evening explodes into harmonious sound as music groups and adult and children’s choirs perform on the City Hall steps and around the market. The Stuttgart Christmas Market usually runs from the last Thursday in November to the 23rd of December. The market opens with a concert in the courtyard of the Old Palace that is not to be missed, and the entire market stretches from the northern section of Stuttgart’s central square through to the old alleyways and squares of town. So, come enjoy the market this holiday season and make it a Christmas unlike any other! 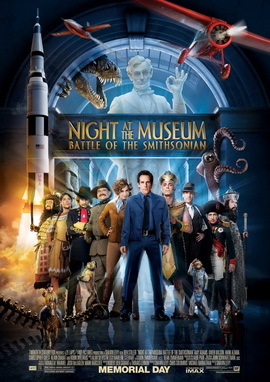 We just finished watching Nights in Museum: Battle of the Smithsonian or simply Nights at the Museum 2. I enjoyed it a lot... perhaps because I'm stressed lately and seeing the exhibits come to life is like a breath of fresh air for me. As always, Ben Stiller is effective in carrying out his role as the Night Watch... The movie was set two years after the events of the previous film. Larry Daley is now living a successful but busy life as CEO of Daley Devices. He however hasn't seen his museum friends for months. One day, he decided to visit the museum only to find that it is closed for renovations and this is where the real story begins. There are more characters in this film, such as Amelia Earhart, Kahmunrah, Al Capone, Napoleon Bonaparte, Ivan the Terrible, Albert Einstein bobbleheads, George Armstrong Custer and Abraham Lincoln aside from the original characters of the previous film. With this combination and an exciting plot, one will surely find it a relaxing watch. Many people decide that they could save a little money on their auto insurance policy by declining the medical coverage. This is the benefit that will pay your medical costs if you are hurt in an accident. It covers you even if you are at fault. In fact, if you have this coverage, you have the right to collect from both your insurance company and the other person's company if they are found to be at fault and are responsible for your expenses. You might think that you will be OK because you have medical coverage. While it is true that standard health insurance coverage will pay your medical costs even if you are hurt in an accident, you will still have to pay all co-payments, deductibles, and prescription costs. Even if you have a cap on your maximum out-of-pocket expenses, this amount can quickly add up. What if you are also out of work due to your injuries? Of course, the other person is supposed to pay for lost wages if they are found to be at fault, but that process may take over two years to complete. If they don't have adequate coverage, you may not be able to collect a penny. You might as well forget about even trying if they were uninsured in the first place. With medical expense coverage, you won't have to worry about how your medical bills will be paid. For just a few dollars each year, you'll know that you're covered in the event of a traumatic accident regardless of who is at fault. Not only will it cover you, as the policy holder, but it will also cover anyone else who drives your car and any passengers. When you're shopping for your next auto insurance policy, make sure that you add this valuable coverage. If there is one thing that women would be very happy receiving, that will have to be diamond jewelry. Diamond symbolizes love, excellence and purification. It has withstood the test of time so much so that it has become a symbol of power too. The rarer the diamond, the greater its value. And any woman surely could use Rare Color Diamonds in their collection. Did you know that colored diamonds are now possible through man-made technology? And it is way more eco-friendly than when you go destroying mountains just to find that rare piece. 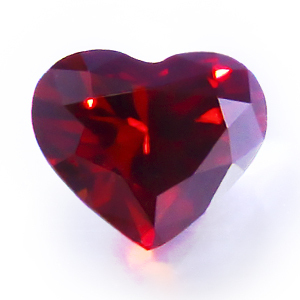 And who wouldn't appeciate receiving Red Heart Diamonds as the one pictured above for Christmas? I know I wouldn't! Are you an expat? Ever experienced going through the trouble of processing all the important stuff for your move to another country ALL BY YOURSELF? If you are a student, I think it is easier to move in to the university dormitories in another country and adjust to the new community because there are International Students Affairs offices available. But if you are just simply rooting out from your own country and moving to another country, that is another story. Oh, the horrors of trying to do things all by yourself. We are lucky though because we were able to avail the services of a relocating company, courtesy of my hubby's company. All our documents were properly taken cared of, we were assisted in opening bank accounts, renting a house, getting our internet and telephone connection, and were given an orientation as well as a tour of the city which will be our new home in the many years to come. I wouldn't know what to do should we do it all by ourselves, most expecially that the language spoken is very, very different from our language. Thank God for relocation services. I always welcome any earning opportunity that come my way, so long as they don't require me having to give up spending quality time with my family. That is why I enjoy being a freelance virtual assistant because I own my time, I can work whenever I want to and still get the job done and deliver it to the client at the agreed date. However, clients are hard to come by and so I am thinking of other means to earn on the side. I could always search for sales jobs and sell products to our friends here when we see them but then again, when I think about it, I realize that I am not very good at doing sales talk. My first job was as a Technical Assistant in a salt industry and although the job title sounds technical, it still involves selling products. I have a friend who sells stuff on the side while working and she is managing it. How she does it, I always wonder. I guess for one to become an effective sales person, one must first try and believe in the product that he / she is using. That way, one will have already had a personal experience about the product and be able to say more about it. A good and solid testimony is what makes a product appealing for me. We are now on our 4th week of our Intensive German Language course. In class, each one of us is asked to make a little presentation on a certain topic and could be about one's home country, about German culture and other things of interest to the speaker. I am a bit confused on what I should be presenting to the class but I still have some time to prepare for it. I wanted to present about Swabian Culture (Schwäbishe Kultur) but this theme is too broad and a little too complicated for my level. So I looked into the categories that fell under Swabian Culture and voila! I found Äffle und Pferdle. These two look familiar because they grace the water bottle labels of Silber Brunnen, which we buy from time to time. So, who are Äffle und Pferdle? These are cartoon characters of the then South German Radio broadcasting (SDR), today SouthWest Radio broadcasting (SWR). They appeared as commercial bumpers in between early evening programs on commercial television. The objective of putting them on the air: to present to the televiewers a short Swabian film that will make them laugh. Although Swabian is a German dialect and I can't understand most of the words, I find myself entranced by this duo named Äffle und Pferdle. And I hope that my other classmates in the class will come to like them too. We are moving out in a few days. This Saturday to be exact, or so I hope it will be. That will depende entirely on whether I get to finish all the other tasks that I have on my to do list. I still have got so many things to do though. The packing up of all our stuff isn't done yet. The repainting of the walls isn't done yet, we still have the kitchen, living room and hallway to paint. The kitchen cupboards and the ceramic induction cooktops have yet to be cleaned. The windows and the roller blinds have yet to be cleaned. The floors have yet to be mopped. The bathroom and the toilet still needs to be cleaned. The balcony and the storage cabinet have yet to be cleared out. In other words, everyhing should be in the same condition as when we first moved in. That's a lot to do especially if you have only so little available time in your hands. And I don't know if we still have time to do all these things, especially me because I am the one left here at home. Oh well, I just hope that things will turn out right. It IS hard, but if you are an expat, you will just have to get used to doing things all by yourself, and do the best that you can because no one else will do it for you. Another month is about to end, another is about to begin. That also means another whole new round of themes for my dear Couchers and Couchers-to-be. While many people are busy doing the countdown for the holidays and the New Year, we will be busy featuring some more interesting movies here on Tuesday Couch Potatoes. So before October starts, I'd like to talk about the themes so that you, my dear Couchers, will have ample time to prepare for your movies. October 5: Here Comes Autumn / Fall. Movies that depict the fall season or movies that came out during the fall season. October 12: Gone Retro. We're going back in time as we do a rewind. For October 12, we will feature movies that came out in the 80's. Many of us are after all, 80's babies! October 19: Living the American Dream. These are movies that celebrate the American Dream, the old "work hard and you'll succeed" ideology. October 26: Life's Gastronomic Pleasures. We all love to eat. Nothing is better than watching a movie with the theme centered on food, where the characters show one's passion for the food. As Monsieur Anton puts it, "You should leave the theater so inspired that you want to either sprint straight to a great restaurant or to the kitchen." So there goes our theme for October. Hope to see you all again next month! Happy TCP everyone! Have you ever been to Venice? It is one very romantic city, perfect for honeymooners. There's so much to see and do in this magical place where you have canals for streets and bus ferries and gongolas for cars: join the Mardi Gras, ride a gondola, visit the grand churches, eat gelato in the smeltering heat of the sun, or simply dine or have coffee at the numerous restaurants. 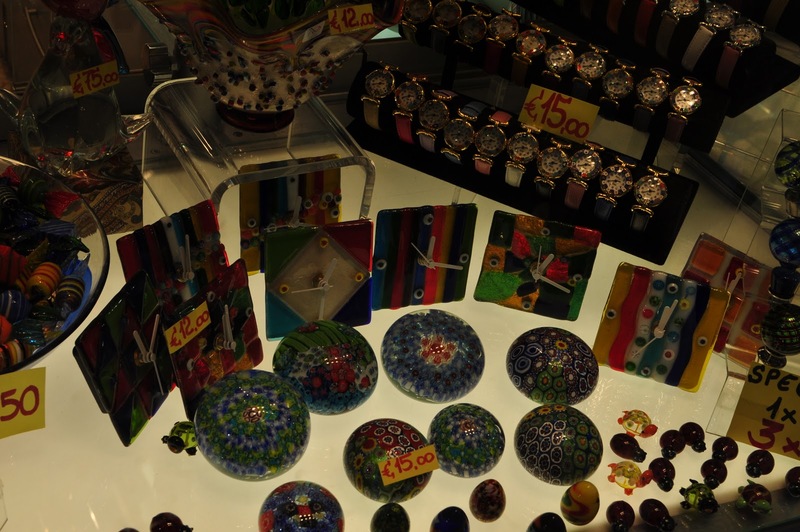 While it is famous for tourism, there's another thing that it is famous for: Murano Glass. 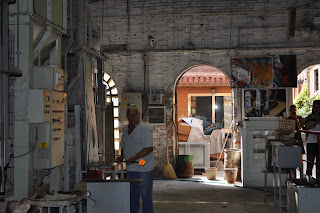 A master glassmaker at Fornace Estevan Rossetto who showed us how glass is made. 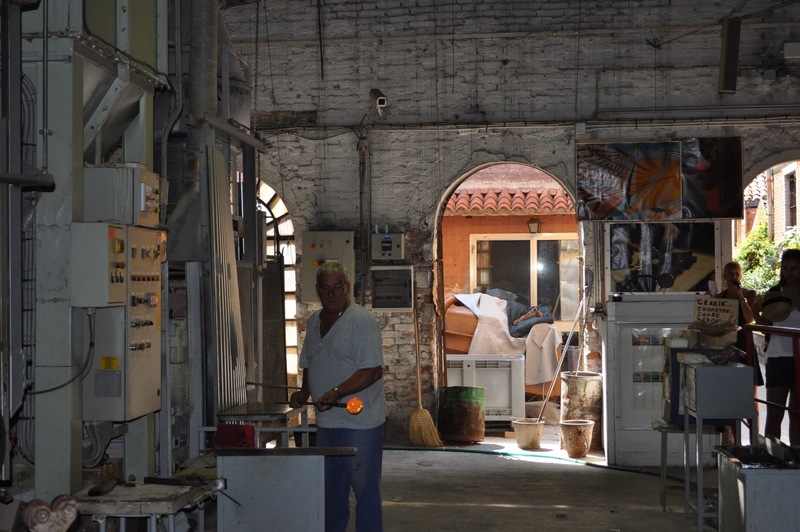 Murano Island in Venice has been producing handmade glass since 1291. Through the years, they have perfected the technique for handmade glass and are able to make various glass and crystal pieces in various shapes, sizes, color and purpose. One can visit the glass museum and also tour one of the private glassmaking houses in the island. Most of the Murano glasses are made using the lampworking technique, where it uses a gas fueled torch to melt rods and tubes of clear and colored glass. Once in a molten state, the glass is formed by blowing and shaping with tools and hand movements. This is why one can see various Murano glass products from simple paper weights and glass beads to complex glass figures and chandeliers. 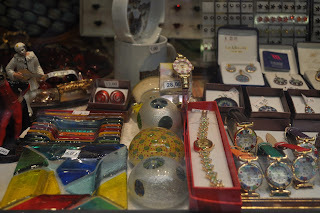 Popular among tourists are: Murano Glass Jewelry, particularly the Murano Glass Pendants. 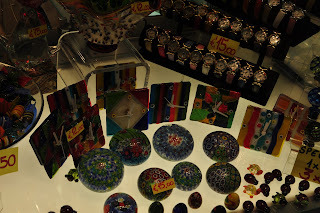 They make very good souvenirs and gifts for your loved ones. And because each piece is handmade, no two pieces are exactly the same. 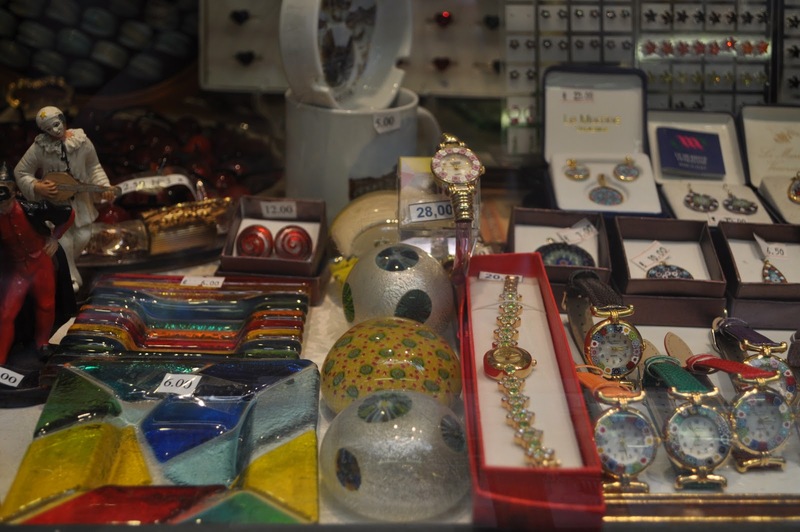 So if ever you are in Venice, don't forget to visit the Murano Island and be entranced by its beauty and it's Venetian tradition that has withstood the test of time: the Murano Glass. Hello Couchers! Welcome to the September 27th edition of Tuesday Couch Potatoes where we post about a movie each week. So things have been hectic for me last weekend. My hands are aching from too much wall painting yesterday and I am not even done painting yet! I only have until Friday left to paint before we move houses this Saturday. It's a miracle that I can still type on the keyboard considering the state my hands are in. Thanks to hubby who massaged my hands last night, they are feeling better. So anyway, back to the serious business of this week's TCP theme: Favorite Robin Williams Movie. William Robins has been and always will be a comedian. He has never failed to make us laugh in his movies. It is no wonder that my favorite movie of him is Patch Adams, where he played the role of Dr. Hunter "Patch" Adams. The film tells the story of Hunter "Patch" Adams (Williams), a medical doctor who became famous for his unconventional approach to medicine. I liked his approach to treating patients: with humor and compassion and I think that's what sick people need the most: to see beyond their illness and feel that they are loved and cared for despite their illness. This movie made me cry buckets. I was once a patient after all and I stayed at the hospital for almost two months when I was still a little girl due to an accident. I can relate to some of the patients and thankful for the care that the medical team and the support my family gave me. So what awaits the Couchers next Tuesday? It's gonna be another month of TCP as we start a new month. For October 5, our theme will be Here Comes AUTUMN / FALL... movies that depict the fall season or movies that came out during the fall season. I guess that's about it for this week's TCP. Thank you for joining us! Take care and Happy TCP! It has been raining a lot lately and the cold is slowly making its way on my side of the planet. I suddenly find my flat shoes inappropriate for the wet weather. I also find my winter boots to warm and too bulky for the Fall weather. So I am thinking of buying myself something that will keep my feet warm and comfy. I have been browsing various shoe shops for shoes womens to see what's on fashion these days and found some that I really like. Timberland Women's Crystal Mountain Mid Boot: looks very comfortable and ideal for winter and cold/wet weather. The back bungee closure will fit any leg! Naturalizer Women's Array Wide Shaft 14" Boot: the fact that it has a wide shaft is what makes it ideal for me. It's design is equestrian-inspired so that I could feel like I were a horse rider myself, even if I haven't ridden a horse in my entire life! Lol! Now that I have found a couple that I think will fit me just fine, it's now time to save up lest I end up getting cold feet this October! Not all kids are the same, or so the saying goes. Each one is unique and have different levels of capability so that in a class, some can get along with the subjects quickly and some can have a difficult time, especially with College algebra and factoring polynomials. Oh no, these is no laughing matter I tell you. When I was still attending school, I had my share of difficult Math word problems. I attended a science high school then so you could not imagine that we were already doing calculus and analytical geometry. I am not a Math whiz kid nor am I a Math problem solver that I sometimes wished I had a friend who can give me free Math help or a tutor who I can count on and get Math homework help from. But we couldn't afford one by then because private tutors were expensive and Online Tutoring weren't available yet. Kids these days are luckier. For those who just can't find their way around numbers, they can readily seek the help of an online tutor and get a high quality, one-on-one supplemental education at a very affordable price. They could get free homework help with difficult problems, ask for clarification, and be taught the tricks on how Math problems are be solved the easy and quick way. If Math is the problem, try seeking the help of online tutors. They are available at any time of the day and there are no pressures. When you are ready to learn, you can just sit front of your computer and go online. Yup, no pressures at all. It's Friday once again... I can't believe it! The days really fly by so fast especially when you have so many things to do in so little time. I can't complain though because it means it's already the weekend and I can just relax and enjoy it with my family. Anyway, it's also Mommy Moments time and the theme this week is Snacks Time. I have been having probably problems feeding Samantha lately. 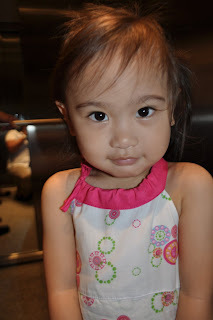 She is so picky and would refuse to eat breakfast which is a major problem because she is at the Kindergarten the whole day and would also refuse to eat there. So before sending her off, I see to it that she is able to eat something, no matter how small the quantity. It's not an entirely happy mommy moment for me and I need help! Really! Samantha loves to eat snacks though. Her favorite: ice cream. I guess any small kid and even grown-ups love eating ice cream. Another thing that she snacks on: ketchup. She would ask me to place ketchup in a small bowl, she would grab a spoon and then feast on it as if it were the most delicious thing in the world. I also have different varieties of cookies, biscuits and bread, fruits like banana and apple, and joghurt drinks, juice and Monte for her to snack on. I stopped storing chocolates in our cupboards because it would only make her eat lesser and lesser on meal times.